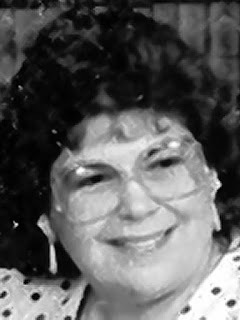 WARDA - Linda M. (nee Janes) of West Seneca, NY. An angel entered into heaven, November 29, 2018. Beloved wife of Robert W. Warda; loving daughter of Virginia (nee Siracuse) and the late Alvin Janes; dear sister of Letizia (Lisa) Grasso and Grace (David) Geer; fond aunt of Amanda, Jessica, Courtney, Matthew, Charlotte, Anthony and Leo; great-aunt of Jackson and Louella; daughter-in-law and always treated as a daughter of Theresa Warda; also survived by and loved by all her in-laws. Relatives and friends may visit the Lombardo Funeral Home (Southtowns Chapel), 3060 Abbott Rd., near Lake Ave., on Monday, from 3-7 PM. A Mass of Christian Burial will be celebrated in St. John XXIII, one Arcade St., West Seneca, on Tuesday morning at 10 o'clock (please assemble at church). Interment Saint Matthews Cemetery.